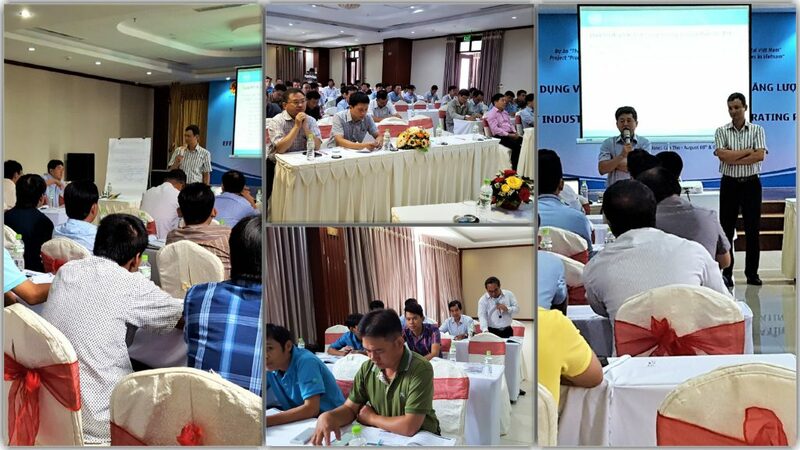 The Training course on “Efficient industrial boiler adoption and operating practices” is one of many activities under the capacity building Program to promote the development of efficient boiler market of the Project “Promotion of Energy Efficiency Industrial Boiler Adoption and Operating Practices in Vietnam” which was jointly implemented by Vietnam Ministry of Industry and Trade and the United Nations Industrial Development Organization in the period of 11/2015-10/2019. The project has organized many courses in the whole country, from the Northern (Hanoi), the Central (Da Nang) to the Southern (Ho Chi Minh City). 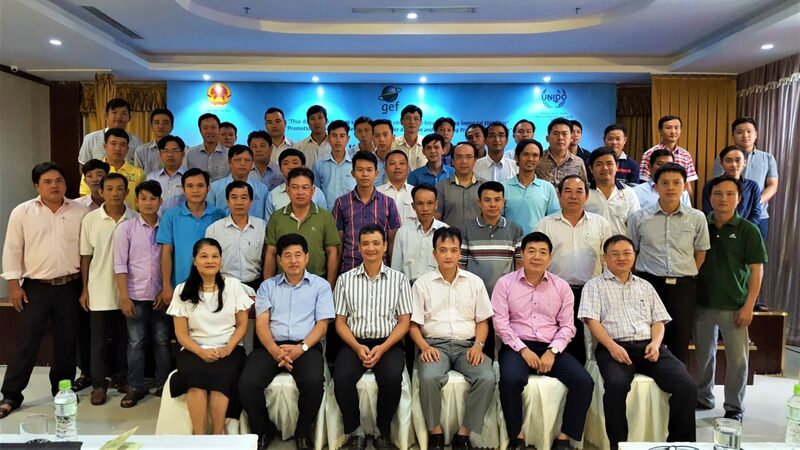 Following the success of training activities which belongs to the framework of the project, Training course on “Efficient industrial boiler adoption and operating practices“ has been organized the first time at Mekong Delta Regional from 8th to 9th, August 2018 at Dong Ha Fortuneland Hotel, 141 Tran Van Kheo, Cai Khe, Ninh Keu, Can Tho City. Identify energy saving opportunities during boiler operation. Boiler and steam system management effectively and professionally through Steam system scoping tool (SSST) software. Water supply and its role in economical and efficient boiler operation. Preliminary work on an energy balance process for boilers and basic energy efficiency solutions. 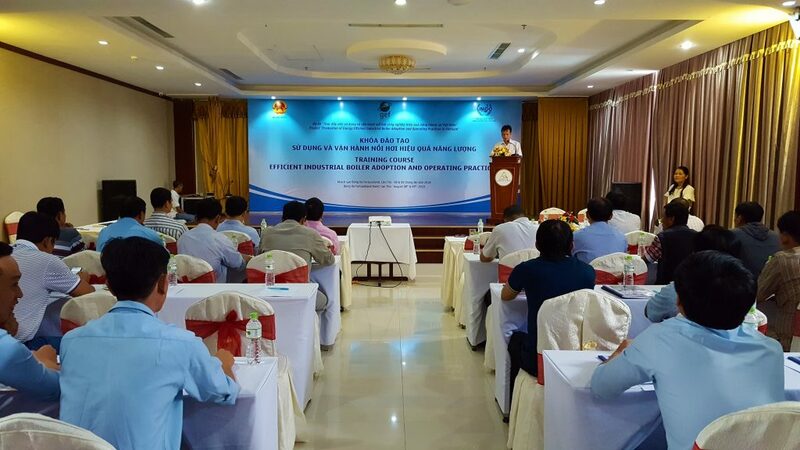 The training course was attended by 45 technical staffs/ direct boilers managers from 23 enterprises in many industrial sectors such as food processing, beverage, sugar cans, livestock feed, chemical at Can Tho, Dong Thap, Soc Trang, Tra Vinh, Vinh Long, Hai Giang and HCMC. The main lecturers of the course are Mr. Nguyen Xuan Quang from Hanoi University of Technology and Mr. Nguyen Quyet Thang – Technical Officer of the Project. In parallel with the training course for enterprise‘s staff, the project has also completed a training course for national experts who are well-equipped with knowledge and tools to support enterprise in evaluating boiler performance and identifying energy saving opportunities. In the Mekong Delta Regional, enterprises, if need assistance, can access to experts who have been trained of those companies/units such as Dong Thap Industrial Promotion and Industrial Development Consultation Center, Tien Giang Energy Conservation and Efficient Center, Energy Conservation Research and Development Center (Enerteam).